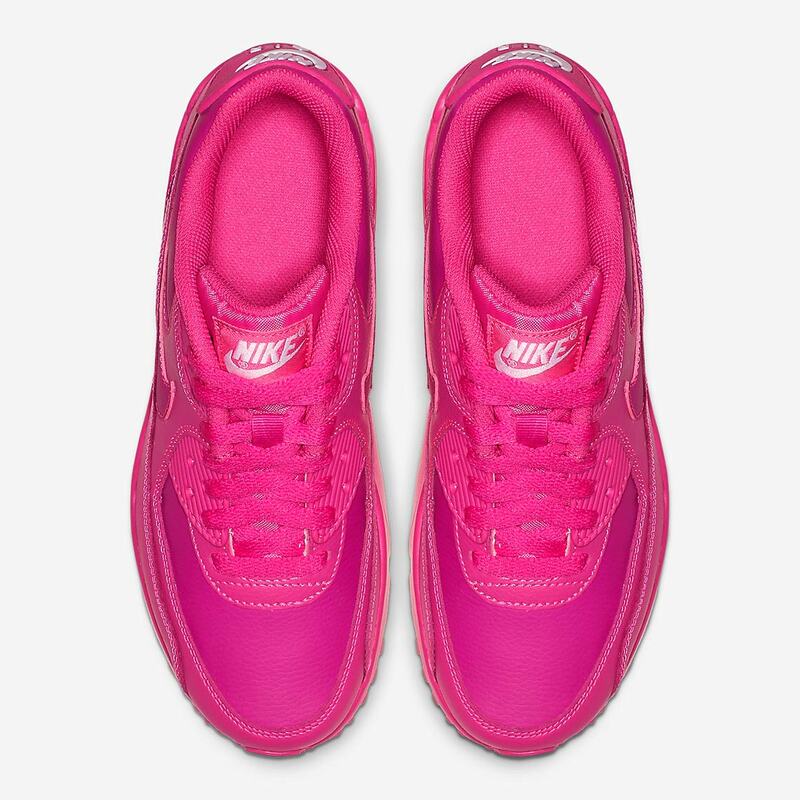 There’s nothing quite like a bold and bright pair of hot pink kicks. 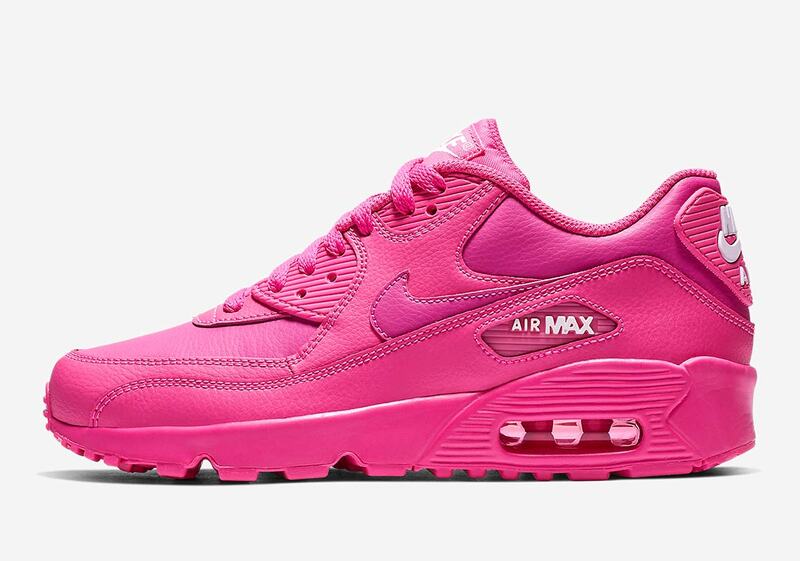 They’re overtly loud, extremely fun, eye-catching, and head-turning — and have been part of Nike’s women’s/girls lifestyle releases for decades. 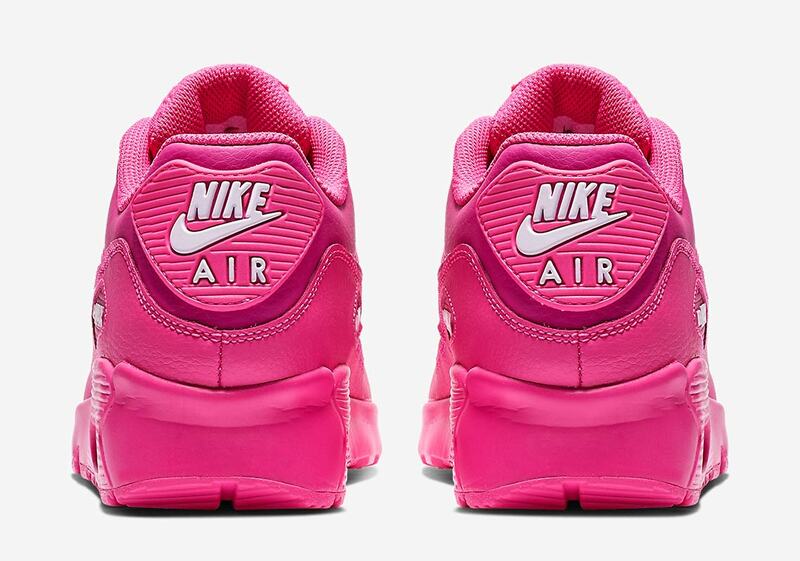 The latest girls-only Swoosh Brand model to arrive to market adorned in a perfect pink hue? The classic Air Max 90, in grade school sizes. 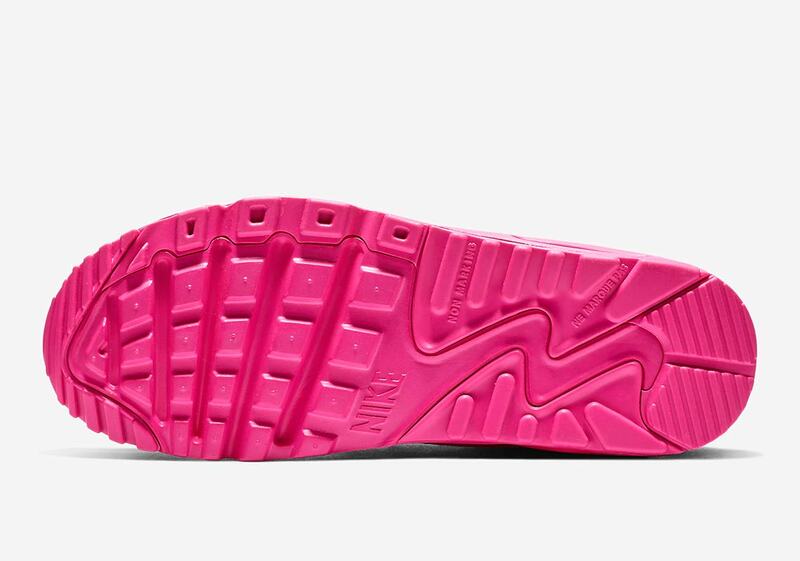 Featuring a durable-yet-stately leather construction in place of the mesh/suede combination originally used on the Tinker Hatfield-designed masterpiece, the shoe’s upper is dressed almost entirely in a hot pink. Small white accents then appear on the midfoot, heel, and tongue patch for just a hint of contrast. 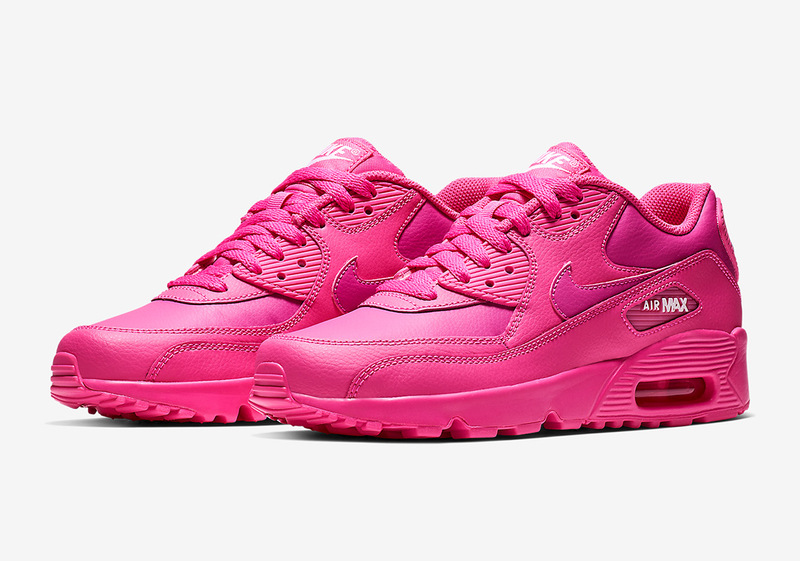 The tonal look is completed by a pink midsole, Air Max unit, and outsole. 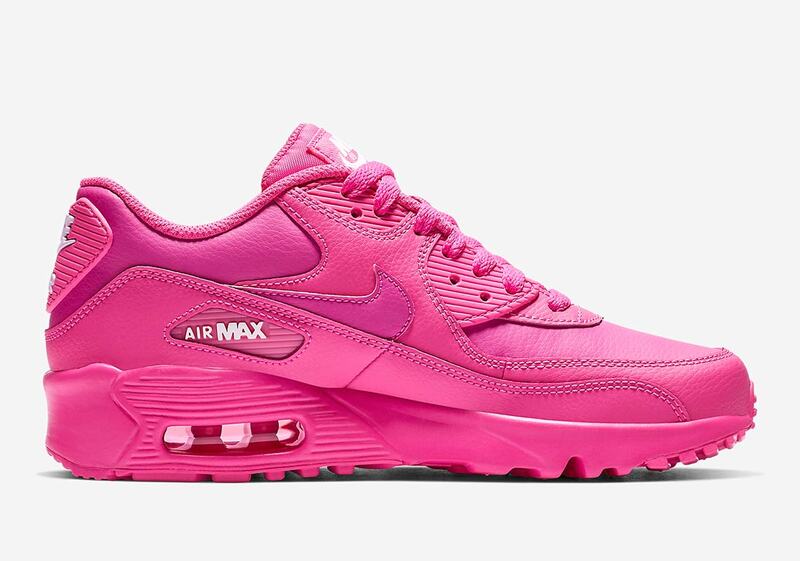 If you like the look of these all-pink 90s, they’re available now at Nike retailers like Finish Line for $90 USD.